When the six-person crew of a derelict spaceship awaken from stasis in the farthest reaches of space their memories have been wiped clean and they have no recollection of who they are or how they got on board. The mysteries of their respective pasts take them on a far reaching journey. 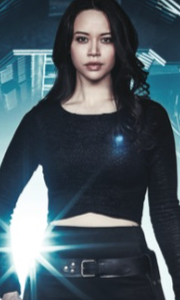 Hounded by the galactic authorities, thier former employers, ruthless corporation, rivals, bounty hunters, and former enemies - they'll have only each ot..
Own Dark Matter Season 2 DVD from Deff, DVD, Blu-Ray & 4K Video Specialists - Free UK Delivery..
Own Dark Matter Season 3 DVD from Deff, DVD, Blu-Ray & 4K Video Specialists - Free UK Delivery..
Own Dark Matter Seasons 1 to 3 DVD from Deff, DVD, Blu-Ray & 4K Video Specialists - Free UK Delivery..